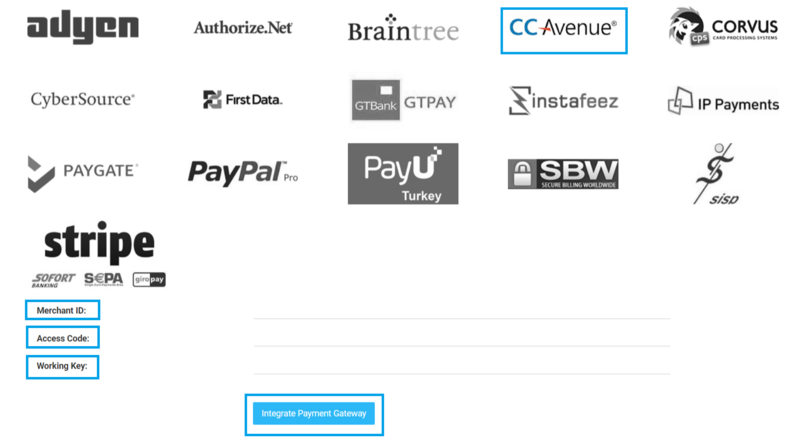 Type the "Merchant ID", "Access Code" and "Working Key"(Which you have received after you signed up with CC Avenue in the corresponding fields. For all types of credit card payments, it only accepts Indian currency (INR) (For Subscription monetization method). This Payment Gateway doesn't support PPV monetization method.